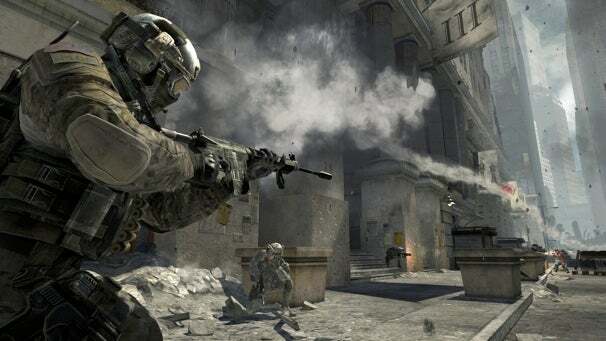 It sounds like the second of a DVD two-set comprising the PC version of Call of Duty Modern Warfare 3 may have been pilfered and redistributed to players apparently too dumb to recognize the problem with installing just part of something. Evidently, pirated discs began to spread quickly after an employee at a shipping warehouse (run by a huge shipping company) in Fresno, Calif., stole one disc. It’s not clear how many full copies spread this way, as the disc that was stolen was apparently Disc 2 of a two-disk set for the PC. Security may have been too tight for the thief to steal the other disc. While theft of any code's disheartening (most of all for Activision Blizzard's security team), VB probably protests a bit too much when it tallies Modern Warfare 3's sales numbers (an estimated 20 millions copies sold in 2011, upwards of $1.2 billion in retail sales) and implies the company could lose megabucks from the heist. After all, it's not like you can magically produce disc one by running a RAID-style disc-two cyclic redundancy check. Still, Activision Blizzard's not taking the claim lightly. According to VB, they're targeting anyone caught with a copy, "knocking on doors around the country." The tech-watcher refers to a Craigslist post by someone claiming "Do Not Buy MW3 Before Release Date…They Will Come Get You…(everywhere)." The poster, who to be fair could be anyone (including an Activision Blizzard plant), warns that anyone who buys the game before the release date will be fined $5,000 and wind up banned from the game. In fact the poster claims "I already went through it." On the usual torrent sites, there's no sign of the game at this point, either in part or full. In any case, do the right thing and sit tight: Modern Warfare 3 is out November 8, and besides, there's always Battlefield 3 to tide you over.